A picture posted earlier this week showed a glimpse of a newly made project. 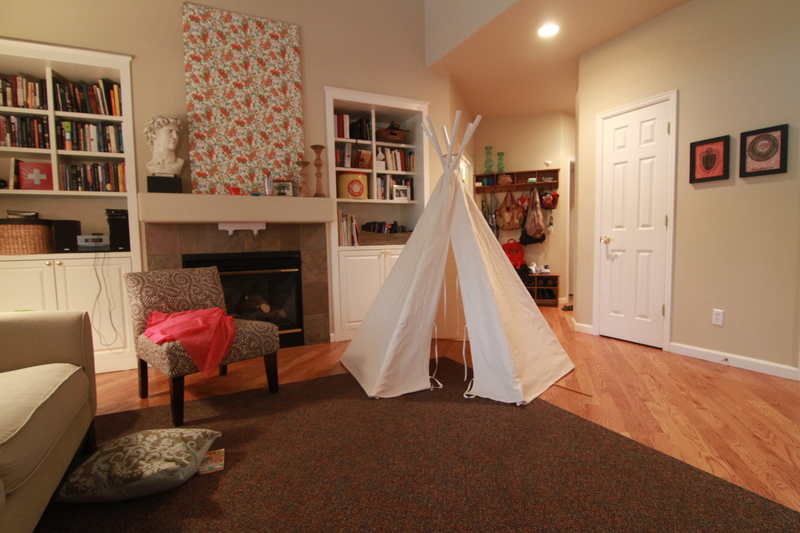 The picture below is the first teepee completed this year. 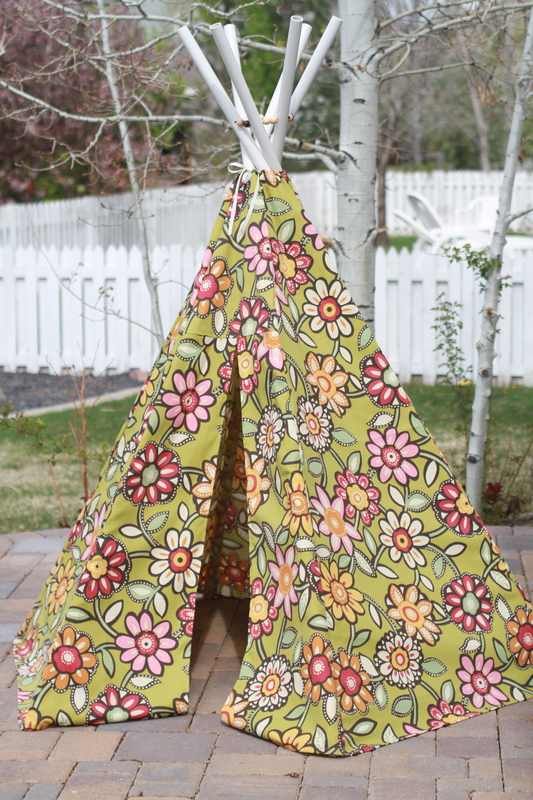 It took many months but I got a feel for the pattern and the kids really loved it and used it often. But I just couldn’t love the fabric. So I sold it and went to work on take two. I reinforced some heavy wear areas, and used a neutral canvas cloth. Now it seems like a blank piece of art and I’m working on adding the finishing touches of color. It is still a favorite with my children, and much more to my taste. I love it! 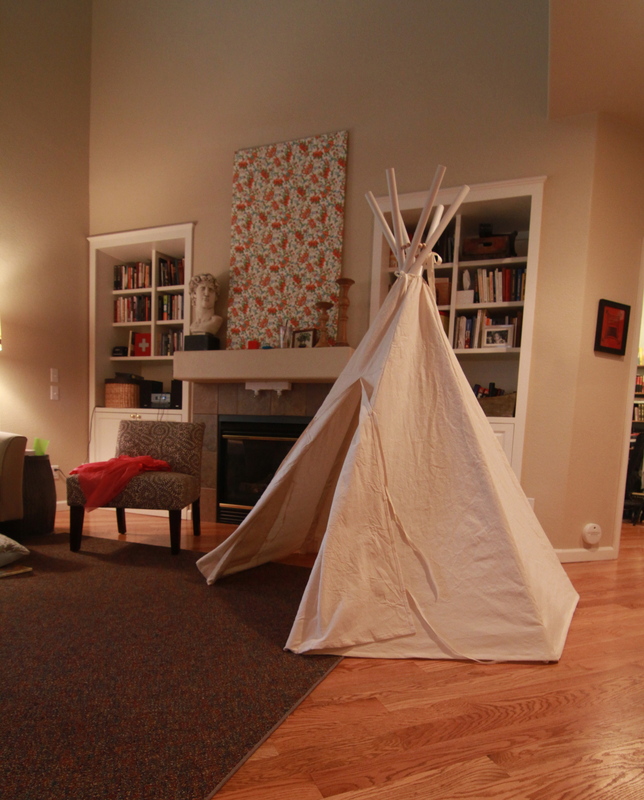 You are currently reading Teepee take 2 at whatsarahfound.